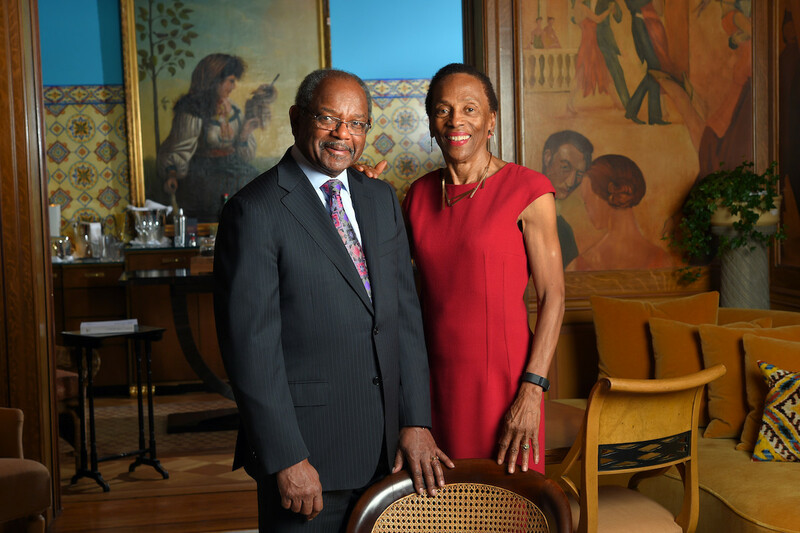 BALTIMORE, MD.- The Baltimore Museum of Art today announced a gift of $3.5 million from Baltimore-based philanthropists Eddie C. and C. Sylvia Brown to endow the position of chief curator at the museum. The Browns’ support and advocacy for the BMA spans more than two decades and includes important contributions of both art and funds to expand the museum’s presentations and collections of works by African American artists. This most recent gift underscores the Browns’ ongoing generosity and commitment to the BMA and marks a critical development for the museum as it continues to enact its vision to position social equity at the core of its mission. The announcement of the newly endowed Eddie C. and C. Sylvia Brown Chief Curator—one of the few curatorial positions in the United States named for an African American couple—follows the August 2018 chief curatorial appointment of Dr. Asma Naeem, whose background includes extensive new scholarship into the work of female artists and artists of color. Together, these two milestones highlight the BMA’s commitment to addressing the need for increased diversity in the museum field not only through its exhibitions and programs but also through its internal composition and structures.